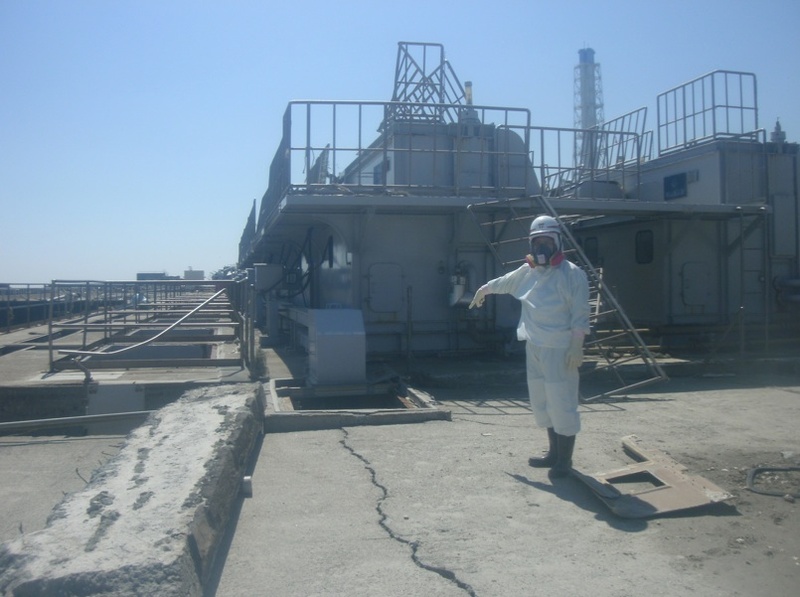 In June, a group of nuclear tech companies, including Silicon Valley startup Kurion, started cleaning the tens of millions of gallons of contaminated water at the Fukushima nuclear power plants in Japan. Now Kurion says the efforts are working, and cesium levels in the water have dropped by more than 40 percent. Three-year-old Kurion makes a cleanup material (they call it ion specific media) that soaks up radioactive cesium and iodine in contaminated water and contains the waste by shrinking it down to a small-enough size, then turning it into glass, a process called vitrification. The company is backed by investors Lux Capital and Firelake Capital, and is the only American company and startup company to work on the Japanese cleanup efforts. Vitrification is the standard way to cleanup cesium and iodine in nuclear-contaminated water, but Kurion says it makes that process cheaper, faster and more efficient. Often, the standard vitrification process requires the contaminated materials to be moved to a centralized plant, but Kurion’s process brings the technology to the contaminated materials. Kurion isn’t cleaning the some 90 million gallons of contaminated water on its own. Japanese conglomerates Hitachi and Toshiba, and French nuclear provider AREVA, are also helping to clean the some 90 million gallons. The water was pumped into the turbine buildings at the power plant and wasn’t only contaminated by nuclear materials, but also filled with debris, oil and salt (from seawater). The group has been working in a haste to clean the massive amount of water. Kurion’s CEO John Raymont told me in an interview back in June that the rainy season just started in Japan, and if the contaminated water overflowed, it could damage the area’s environment even more. There’s also the concern that more earthquakes could occur in the area, which could also cause the water to overflow. Raymont told me that the startup delivered the cleanup material and technology to Japanese utility TEPCO in five weeks, which is a fraction of the time he says it took to start cleaning water at the Three Mile Island accident. Nuclear waste management is a problem that hasn’t seen a whole lot of innovation over the past few decades. According to some estimates, $1 out of every $4 from the Department of Energy’s budget goes toward nuclear waste management, so there is a sizable opportunity to help the DOE cut that expense. And with the Japanese nuclear disaster, there’s an immediate market. 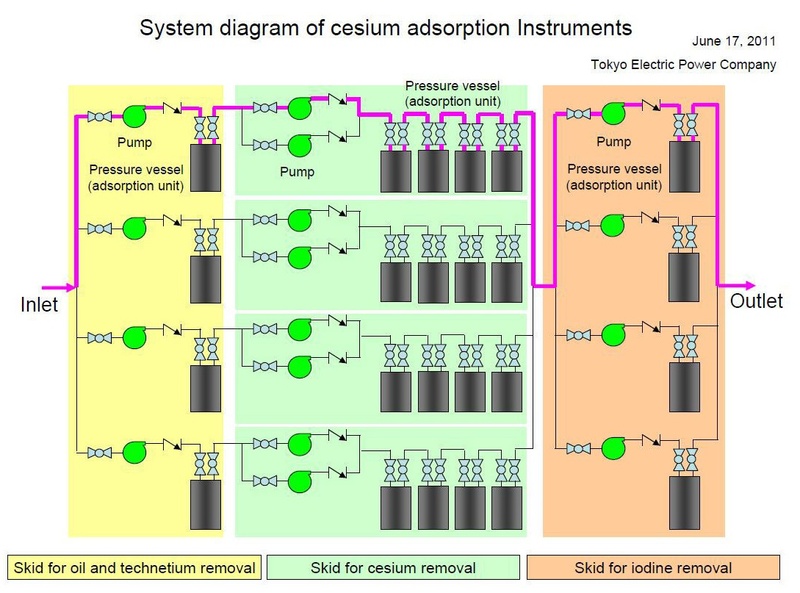 Images courtesy of Kurion, and TEPCO.